Brutus lurks under the dock among the gears and cams - good camouflage for a mechanical fish! Although he has a fairly menacing demeanour he is basically lazy. Content to lie quietly on the bottom he simply observes his surroundings breathing heavily, waiting for a meal to swim by. 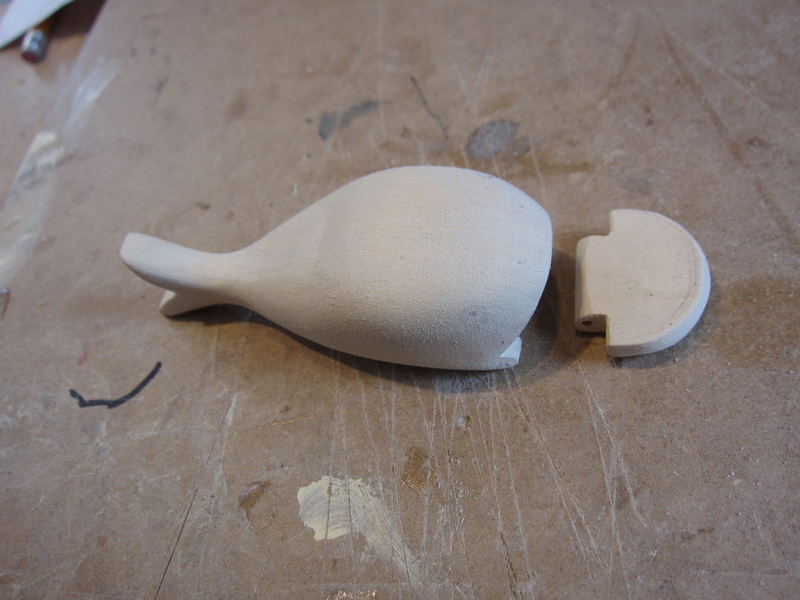 Brutus is made from two pieces of basswood, one for the body and one for the lower jaw. Here they are after shaping and sanding. A brass pin serves as the jaw hinge that links the parts. 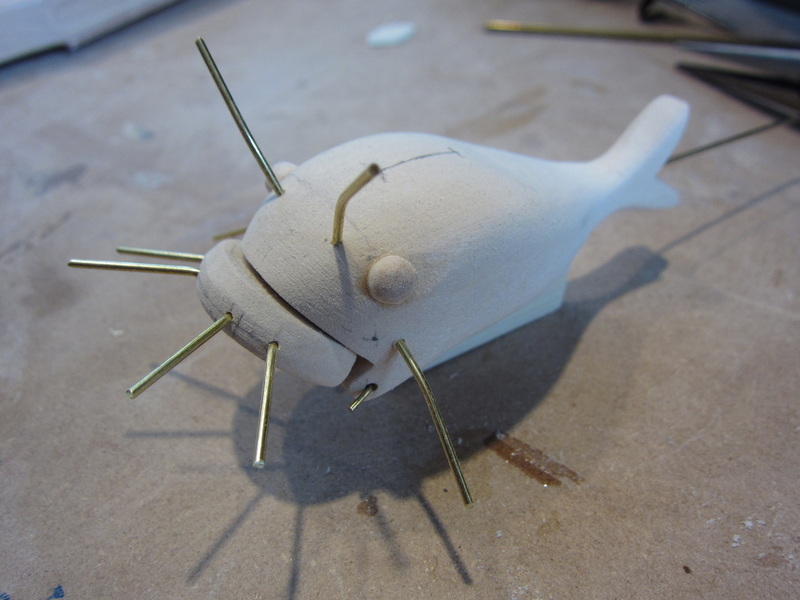 His whiskers are brass rods and his eyes are made from 1/4" shaped dowels. A rod through his body, attached to a block on the top of jaw, opens and closes his mouth.